Francisco Vita's Amazing Soap Carving Videos! Continuing on my series of Amazing Carving Video Lessons by great Artist Francisco Vita, here are some of his videos giving lessons in Soap Carving. Lesson 19 Some More Soap Carvings. I am sure you will love his carvings on Soap as much as you will love his Vegetable and Fruit Carvings. 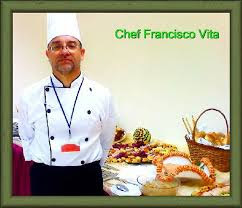 Francisco Vita's Amazing Fruit, Vegetable, Soap Carving Videos! Continuing on my collating and publishing the work of this Wonderful art of Vegetable, Fruit and Soap Carvings by various Artists, this series of posts will deal with amazing Artist and great Friend Chef Francisco Vita. You can watch his videos which I have intentionally kept the same series Number as he has published on his YouTube Channel, but made posts of about 5 to 6 videos per post to make it easier for you to view. Please find more details about him and his sites, Social contacts below before you go on to watch his fantastic work of Art. Wishing him all the Best! Some More Great videos coming up in the next post. Keep watching! Top 10 Amazing Food Art Ideas that will Blow your Mind away! Continuing on my publishing of some of the best videos I could watch and collate for you all, here are a few videos which will really blow your mind away! I will not waste much time in writing anything about them and leave you to watch them. This one is Art is Strawberry Turtles! Next in Art in Cucumber Turtles - Amazing! These are amazing Carrot Flower Creative Garnishes! How to make Edible Apple Turtles! Here are some Pineapple Turtles! This is a Unique Banana Duck Car! This is a Simple But Cute Watermelon Swan! How to make Banana Decorative Garnishes! I am sure you will have liked watching these videos as much as I had. Coming up with more of such videos soon. Do keep a watch! Continuing on my efforts to bring you the best of this Art of Vegetable and Fruit Carvings, I was browsing through various designs made from Fruits and Vegetables and came across some great videos which had some superb designs and forms created by the artists. Here are some of those videos brought for you. I am sure you are going to be as amazed as I was when I watched the exquisite carving techniques used by the Artists, so enjoy these videos. New Design Petal Shaped Paw Paw using Pappaya! This is an amazing Zucchini Flower! You can't take your eyes of this beautiful Rose carving using a Radish! So well carved! Rose Flower using Potato? Amazing this one! I just couldn't take my eyes off these Pruning Flowers created from Bulb Onions! This is another new style carved flower using a Zucchini, so delicately carved! Superb Fan Flower using Fennel Aniseed! This is another amazing Flower carved from Potato! Scintillating display of carving to create a Paprika Flower! I am sure you must have liked all these videos which I selected from many others I have chosen and will bring them to you very soon. Continuing on my effort to search and showcase some of the best Vegetable and Fruit Carvings , today's post is dedicated to amazing Zucchini carvings. As mentioned in my last post a little information about this vegetable for the benefit of all. (Information Courtesy Wikipedia). 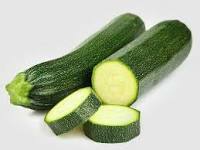 Zucchini or courgette is a summer squash which can reach nearly a meter in length, but which is usually harvested at half that size or less. Along with certain other squashes and pumpkins, it belongs to the species Cucurbita pepo. Total Fat 0.3 g = Saturated fat 0.1 g+Polyunsaturated fat 0.1 g+Monounsaturated fat 0 g+Trans fat 0 g.
Now that we know a bit more about this wonderful vegetable let us watch some great Zucchini Carving Videos. This is another amazing Cactus Rose Flower Carving with Zucchini! So nice! This is a complete playlist set of Videos for Zucchini Carving by Mutita Art of Fruit and Vegetable Carving. Another Amazing Lily Carving with Zucchini. Zucchini or Courgette Leaf Carving. Similar Video showing Carving of Flowers from Zucchini in different styles. I am sure you will have liked all the above selection of Zucchini Carving Videos. Keep a watch for my next post with new Vegetable or Fruit Carvings! Continuing on my series of Fruit and Vegetable Carvings, I came across some amazing Cantaloupe Melon Carving videos which I just couldn't resist publishing for you in this post. Good News about an added feature that I am trying to start with this post is I will publish details about the Fruit or Vegetable that is used for the carvings, including where it originated from, its nutritional value etc, just for the information of the reader. Hope you like this new variation in my posting. So lets start with some information about Cantaloupes. 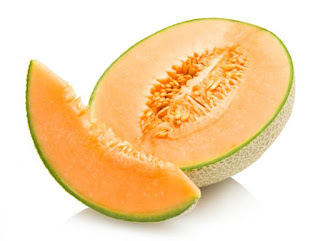 Cantaloupe refers to a variety of Cucumis melo, a species in the family Cucurbitaceae. Cantaloupes range in weight from 500 g to 5 kg. Originally, cantaloupe referred only to the non-netted, orange-fleshed melons of Europe. Total Fat 0.2 g = Saturated fat 0.1 g+Polyunsaturated fat 0.1 g+Monounsaturated fat 0 g.
Now let us watch some fantastic Videos of Cantaloupe Carving! Another Great Cantaloupe Carving Video from a Fox News Channel. I could go on forever, but will conclude this post with an amazing Four Flower Cantaloupe Carving video that is just too good. Will come up with some more of my selection of Fruit and Vegetable Carving Videos for you, so keep a watch and Happy Carving! I am aware that Halloween is yet over a month ahead on 31st October 2015, but this post has been published with an intention to give you so much information about Halloween Pumpkin Carvings that it could take you that much time to read, review and practice it to get the perfect Halloween Pumpkin you would like to decorate your home with on Halloween. Here are a collection of some of the best Halloween Pumpkin Carving videos I could select form so many hundreds and thousands of them on the Internet. I am sure you will like them. Some of them are links to amazing sites while some of them are direct Videos which you can watch and some of them are links to sites which not only show the video but also give you as Step-By-Step procedure to do the Pumpkin Carving. Happy Watching and Happy Carving! I am sure you will enjoy the above series of videos on Halloween Pumpkin Carving , while I look around for some more information to get to you! Here are a few fantastic videos showing you how to carve Radish into some really a cute Radish Rat, various pieces of display for your Centerpiece or even on your Salad decorations. 1. Vegetable Carving - "How to carve a Radish Rat"? Having fun with veggies may seem impossible to some kids, but not after they've watched teenaged professional chef Justin Miller work his magic. With a few careful cuts, he shows you can have fun with veggies by making a radish rat. The Festival of the Radishes (Los Rabanos) is known worldwide as a singular event in Oaxaca, Mexico. Held each Dec. 23 it displays carvings and radishes, corn husks and flowers in the city zoczlo and attracts visitors from throughout the world. One of the best days of the year!! Every year on Dec.23, there is a competition in the zocalo in Oaxaca, Mexico, with large cash prizes. Thousands of people come and watch oaxaqueños create amazing works of art using radishes, corn husks or dried flowers. By nightfall, the square is so full of happy people, one can barely more. Viva Oaxaca! 4. How to cut Radishes? Learn how to prepare and chop radishes with expert tips in this free how-to video on cutting vegetables. 5. Learn how to slice radish for a vegetable tray! Learn how to slice radishes for a vegetable tray in this free video clip about party appetizer platters. From Expert: Karen Weisman. I am sure you liked this small series of videos showing you steps from cutting and storing radish to creating sweet flowers for your decorations. My next post will deal with some Fruit now since we have covered a few vegetables now. Enjoy your carving! Fruit and Vegetable Carving Albums - Great Collections! Fruit and Vegetable Carving Album - Great Collections! A fantastic collection of Fruit and vegetable carvings that will have you craving for more. What you will see is various artistic forms of Basic Food Garnish,Plate Garnishing, Basic Carving Centerpiece, and much more. I will not waste any more time in writing because the albums are just too good! I am sure these stunning videos will not allow you to get off from this page, so take your time and enjoy the wonderful Thai Art of Fruit and Vegetable Carving! 8th Successful Year Of My Vegetable and Fruit Carvings Blog. 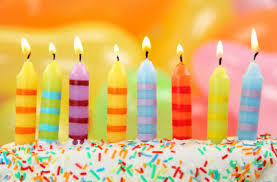 First of all let me thank all my Friends, Fans, Relatives, Well-Wishers and especially those hundreds of Vegetable and Fruit Carving and Food Art Artists, because of whom this Blog has completed 7 successful years and enters its 8th year. The Wonderful Thai Art of Vegetable and Fruit Carving has been an inspiration for me ever since I got to know about it from a friend of mine who is a Chef and we had met 7 years ago. As he described to me the Art and I also saw some of the carvings which he and his wife who is actually from Thailand had created to decorate the simple evening get together meeting I had with him, the art caught my fancy and ever since my romance with this Art has never died. Very Happy to say that this Blog today has registered its 201st Post with this announcement message and has had 2,29,599 page views as at the time of writing this post, from visitors from over 193 different countries all over the world. 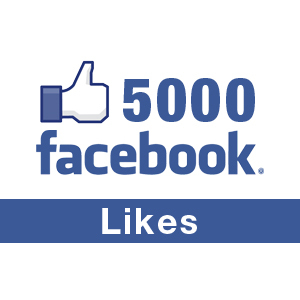 My Facebook Page for this Blog which you can access at - https://www.facebook.com/pages/Vegetable-and-Fruit-Carvings/288832714493988 has received 4,748 likes from wonderful people like you with thousands of you reading the posts every week. It has been my endeavor to bring the best of the information of this art to the visitors besides portraying the the profiles of so many of my wonderful Artist Friends on Facebook through specific pages dedicated to them and their art. They are the ones that have brought life and action to my Blog for which I am ever obliged. This all the more gives me greater motivation and strength to get more information to the reader and promote more profiles of young, new and successful upcoming Vegetable and Fruit Carving Artists on this blog. I conclude by assuring you that it will always be my effort to bring to you the best. Your continued patronage, Best Wishes , Motivation and Blessings are solicited as always!